The study would have looked at the health impacts of living near coal mines. The Interior Department's internal watchdog says the agency wasted more than $400,000 after it decided to cancel an ongoing study into potential health risks for people living near mountaintop coal mines in Virginia, West Virginia, Kentucky and Tennessee. "We determined that $455,110, the amount billed, was wasted because no final product was produced," deputy inspector general Mary Kendall wrote in a letter to Rep. Raul Grijalva, D-Ariz., who requested the office look into the decision to cancel the study. Kendall said in the letter that department officials were unable to explain the specific reasons they decided to cancel the study, other than citing a general document about Secretary Ryan Zinke's priorities for the agency. The officials also said they did not believe the study would produce any new information and felt the cost of the study would exceed the benefits. The National Academies of Science announced in August of last year that the Interior Department directed researchers to stop working on the study as part of an agency-wide review of grants for more than $100,000. The National Academies still held public meetings that were already scheduled but did not do any more work on the study after the meetings. The study would have looked into whether there are increased health risks for people living close to sites that have been or are currently being mined for coal deposits near the surface, including a review of previous research. (Mandel Ngan/AFP/Getty Images, FILE) A June 13, 2008 photo shows a large mountaintop coal mining operation in West Virginia. 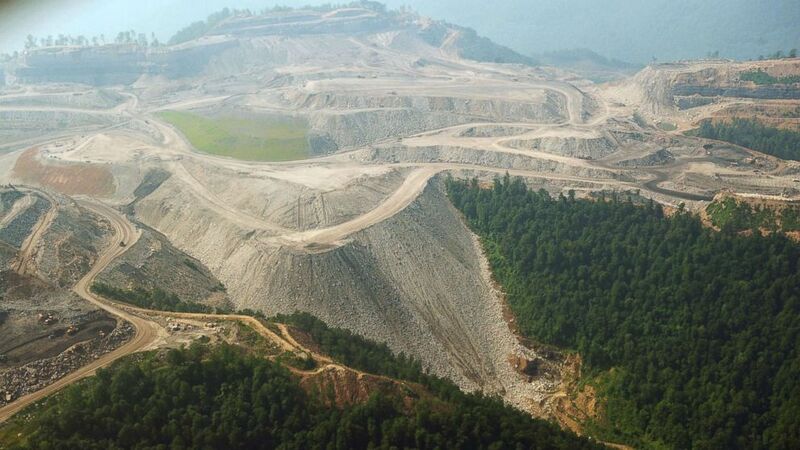 Other researchers have looked into the relationship between living near the kinds of mines in Central Appalachia. One study published last year by the National Institute of Environmental Health found that some of the substances residents near mines are exposed to could be hazardous but that other factors like socioeconomic status made it difficult to reach a conclusion on the health effects. That study said that more research would be critical to understanding the impact on the health of communities near surface mines. A spokeswoman for the academies said that the members of the committee working on the study were not being paid but that the government paid for their travel and other expenses. The money for the study came from the Office of Surface Mining and Reclamation. Grijalva, D-Ariz., the ranking Democrat on the natural resources committee, said the letter shows that the department lied about why the study was canceled. "Republicans in Congress have shown they couldn’t care less about conducting real oversight. As long as Trump’s party is in power in Washington, more money will disappear, more lies will follow and there will be no accountability," Grijalva said in a statement.